WITH his relentlessly driven captain’s leadership growing, the league’s MVP finding his feet, an emerging star fighting through increased attention and a young gun thriving, Perry Lakes coach Matt Parsons has enjoyed seeing the Hawks fight out of a losing streak to go on a big winning run. Parsons took over at Perry Lakes ahead of the 2017 season on the back of taking the Cockburn Cougars to the 2016 championship after also taking them to a vastly better than expected 2015 season. 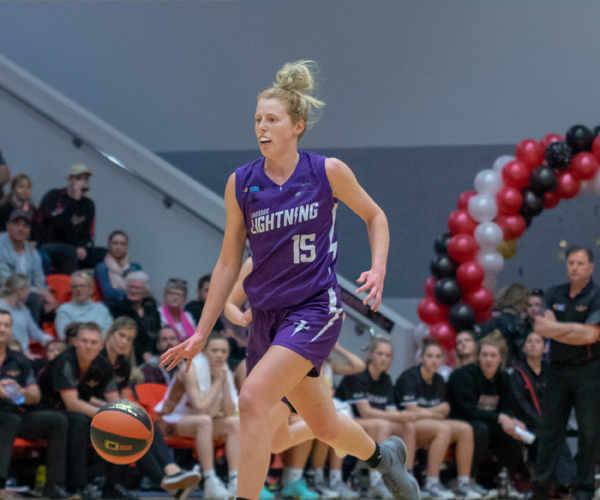 It was a season at the Hawks last year where nothing seemed to go right, but they were able to reach the playoffs from eighth position and then beat the minor premier Willetton Tigers in Game 1. They then looked to have Game 2 won too, but the Tigers found a way to make it close and for Ray Turner to hit the game-winner before they went on to clinch the series on their home floor. It was a heartbreaking exit for Parsons and the Hawks, but at the same time they had a lot to be proud of considering how much went wrong that they went so close to eliminating the team that finished in first place. Parsons knew his group did need some tinkering, particularly in the backcourt with the departure of import Rob Waters and the prolific Matthew Adekponya. But he added import Tyler Monroe, veteran Dan Thomas and Perth Wildcats development player Lochlan Cummings. So the group looked good and then started the season well with a win over the East Perth Eagles but Monroe got injured after putting up 15 points and seven rebounds in 18 minutes. 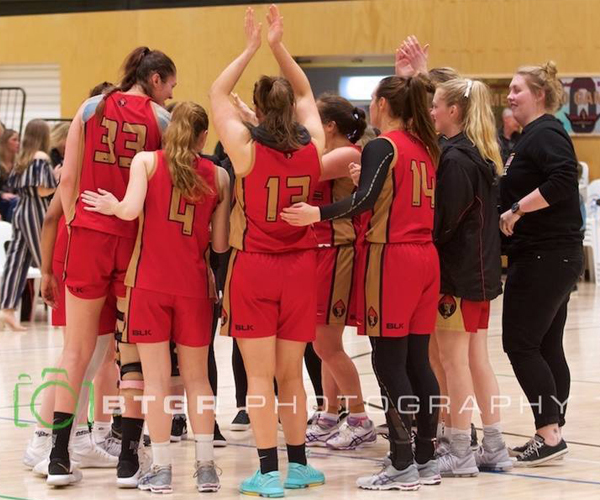 He wouldn’t play again and while Perry Lakes was staying afloat, eventually they fell into a five-game losing streak which included a 24-point loss to the Cougars, 28-point defeat to the Wolves and 19-point loss to the Redbacks. It was those combined 47-point losses on back-to-back nights to the Grand Finalists of last year that left Parsons knowing that it was now or never for him and his group to turn things around. The pieces were all there. Reigning MVP Jacob Holmen had replaced Monroe joining Brian Carlwell inside while there were leaders like Purser and Thomas, and Cummings, Clarke, Ryan Smith, Rob Cassir and Travis Hayto in the back court. So Parsons knew he still had the pieces there for things to come together and they certainly have turned around in quite impressive fashion since. 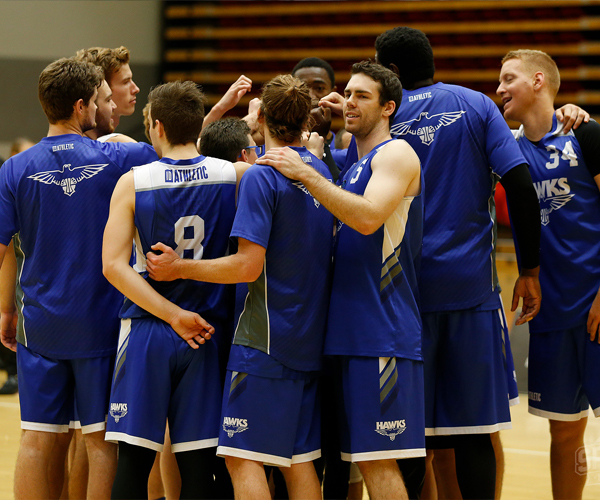 After that losing streak, the Hawks have now won seven straight with wins against East Perth, Mandurah, Willetton, Geraldton, Perth, Rockingham and South West. 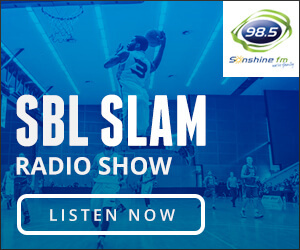 That has them sitting in fourth position now with a 13-8 record ahead of this Saturday night’s clash with the Kalamunda Eastern Suns at Bendat Basketball Centre. Parsons always had faith that his group could fight through that losing run and is proud to see just how well they have come out of it. “Any losing streak is a tough one and a five-game losing streak with a couple of games in there you’d like to use as measuring sticks for where the league is at is especially tough,” Parsons said. “We weren’t performing to the way we expect to and living up to the pressure we put on ourselves, but we did the work. One of the things is that sometimes the results aren’t a reflection of what we are actually doing. “We maintained faith that if our work and effort levels were there that it would turn for us and when that confidence as a group comes on top of the work ethic, then all of a sudden things come around. “The boys have been phenomenal and they didn’t get down in that five-game losing streak. They knew we were going to turn the corner and we just did what we needed to do. While it’s one thing to have great talent, Parsons knows that for any team to be successful they need strong leaders. He had that in his championship winning team at Cockburn with the likes of Thomas, Gavin Field, Rhett Della, Sheldon McIntyre and Steven Van Lit. He did feel he needed more of it at Perry Lakes this year so that was where the addition of Thomas became key and has worked even though he has now suffered a season-ending injury. “You can go back through time and you’ll find that every successful club has had really good leadership. That’s exactly what we are trying to develop and we’ve recruited DT to come in and lead our younger generation of guards, and to be vocal,” he said. Speaking of leaders, Parsons has looked on in admiration at the growth in the leadership of his captain over the past 18 months. 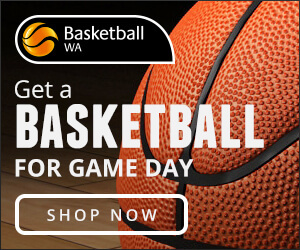 The work ethic of Purser has long been the stuff of legend right throughout his younger days, his time at Augusta State University, his years with the Perth Wildcats in the NBL and right the way through at Perry Lakes. Nobody has worked harder on their game than him, but the next step was for him to become an outstanding captain and Parsons has no doubt he now well and truly fits that category and is the heart and soul of Perry Lakes, much like Field is at Cockburn. “Ben Purser’s leadership has just grown this season enormously. It’s a phenomenal growth he’s undertaken over the past 12 months and he should be extremely proud of the way he leads this club,” Parsons said. “He is the figure head of our culture and we play so well when he’s into that mode. He’s a tough match up and the rest of the boys just follow suit. Influence is a great thing. “Gavin Field is a very good basketball player and a phenomenal leader himself. He has the ability to IQ his way through a game and Benny has a very similar IQ. He also has an extremely high work rate and he has great habits in terms of his training programs, and he never stops working. “Even on the floor, for every second he’s on the court in training or in a game, he gives absolutely everything. That leadership in itself is a huge thing and influence on the group when one person is doing that the rest kind of follow suit. It’s not just about the experienced players at the Hawks either. Parsons was happy to throw Mitch Clarke in there maybe before he was ready last year to fast track his development, and he more than held his own. He has continued to progress impressively in 2018 and his past four games have been the best of his career to date averaging 11.8 points, 3.0 rebounds and 1.3 assists. Parsons can’t be higher on the teenager and sees the sky as the limit for his future if he continues to put the work in. “He is fantastic. He is only 18 years of age but he plays like a 24-year-old. He has been sitting there biding his time behind DT and unfortunately his injury opened the door and we’re starting to see a bit of what Mitch can do consistently,” he said. 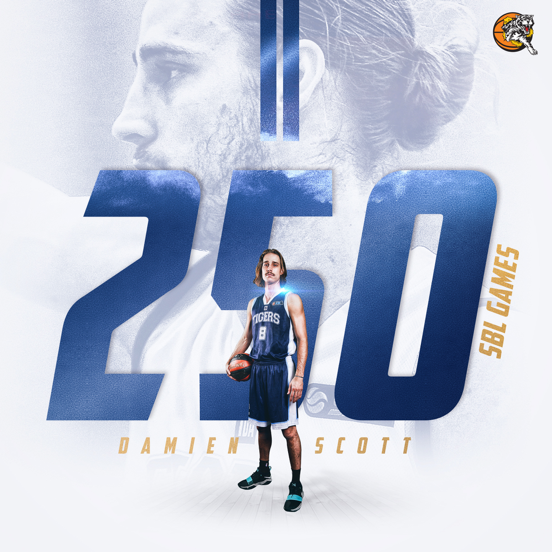 “I think Mitch is an NBL talent eventually and his IQ level, his speed and those sort of things are what NBL clubs are looking for. He’s not going to be there in the next year or two, but he won’t stop working and he will keep growing and developing his game. The signing of Cummings from Cockburn was a significant one for Perry Lakes coming into 2018 fresh off his season with the Wildcats as a development player. His form did struggle during that five-game losing run and he had to deal with being the player targeted from the opposition with the league’s best defensive players locking him down, and defending him in ways he’d never experienced it before. But he’s coming out of that well and Parsons has been pleased to see him now average 19.3 points while shooting 48/90 from the field and 13/39 over this current seven-game winning run when in the losing steak he averaged 7.2 points on shooting 13/55 and 4/26. “When you look at Locky’s form this season you look at a guy who is going through a really important transition in his career,” Parsons said. “We look at him as a prime mover in the competition and he is going to be a volume scorer for a very long time, but he had to learn how to deal with getting the sort of attention that he probably didn’t last year especially with Gav and Jalen on that team. “It was about him staying mentally strong and working through it, and he did it with a smile on his face the whole time. Being able to add last year’s MVP from when he was at the Giants as a replacement for the injured Monroe certainly could end up being the move to take the Hawks a long way in 2018. Parsons always knew it would take time for Holmen to find his feet and for the team to find its groove with him there, but he couldn’t be happier with the way the Texan has conducted himself. 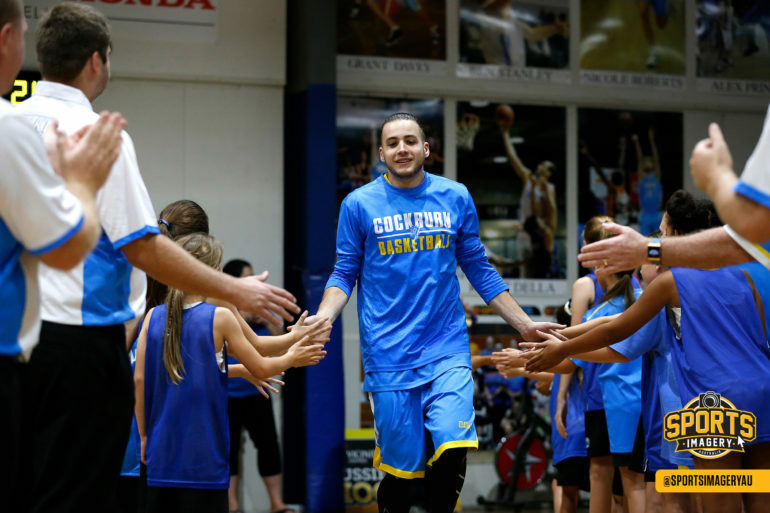 “He is a great character and a very good basketball player obviously. He has walked into our program and never once said that he’s the man and that he wants the ball,” he said. “He has never demanded that of his teammates, he basically has just said he wants to fill in and find his way. Now with a month and five games remaining in the regular season, Parsons is excited about what the rest of 2018 holds for the Hawks. “I’m really excited for this next month. Challenges are one thing and we’ve faced challenges, and are still facing them because every game in this league is a challenge,” Parsons said. “There’s not an easy game and the corresponding game last year against the Slammers and they didn’t have a uniform, didn’t have training facilities or half their players, but absolutely handed it to us.